Below is a comprehensive list of hotels in Chittlehamholt. Use the sort links to refine your search or to find featured accommodation in Chittlehamholt. Many of our hotels in Chittlehamholt feature no booking fees and best price guarantee when booked through the Pictures of England website. To list your hotel in Chittlehamholt, click here. In 200 acres of stunning grounds, this country house hotel has an 18-hole golf course with beautiful views towards Dartmoor and Exmoor. There is free ..
Around 13 miles from Barnstaple, The Portsmouth Arms Hotel is a 600-year old coaching inn offering cosy en suite rooms and cottages in the Devon count.. Stable Cottage IV is a holiday home set in Chittlehampton in the Devon Region and is 41 km from Exeter. The property is 14 km from Barnstaple and free..
Cider Cottage is a holiday home situated in Chittlehampton in the Devon Region and is 41 km from Exeter. The property is 14 km from Barnstaple and boa..
Granary Cottage III is a holiday home located in Chittlehampton, 41 km from Exeter. It provides free private parking. There is a dining area and a ki..
Valley View offers accommodation in High Bickington. The property is 40 km from Exeter and free private parking is offered. The kitchen features a di..
Set in High Bickington, this holiday home features a barbecue. The property is 40 km from Exeter and free private parking is featured. A dishwasher, ..
Buzzard is a holiday home with a barbecue, set in Chittlehamholt in the Devon Region. The unit is 37 km from Exeter. Free WiFi is provided throughout .. Located 37 km from Exeter and 18 km from Barnstaple, Goose offers pet-friendly accommodation in Chittlehamholt. The unit is 32 km from Ilfracombe. Fre..
Owl is a holiday home with free WiFi throughout the property, situated in Chittlehamholt. The unit is 37 km from Exeter. The kitchen has an oven and ..
Pheasant offers pet-friendly accommodation in Chittlehamholt, 37 km from Exeter and 18 km from Barnstaple. The unit is 32 km from Ilfracombe. 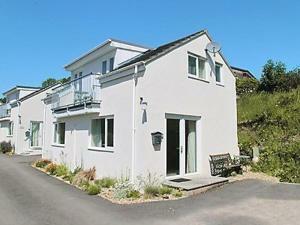 Free WiF..
Set in Umberleigh Bridge in the Devon Region, this holiday home is 43 km from Exeter. The unit is 50 km from Tavistock. 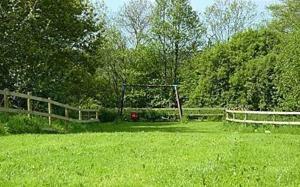 Free WiFi is featured througho..
Lychgate Cottage is a holiday home situated in Chittlehampton, 43 km from Exeter. The unit is 11 km from Barnstaple. 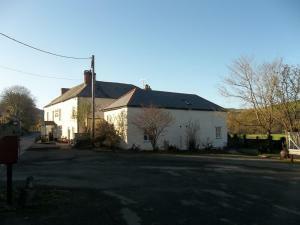 Free WiFi is offered throughout t..
Offering a restaurant, Sampson Barton Guest House is located in South Molton. Free WiFi access is available. 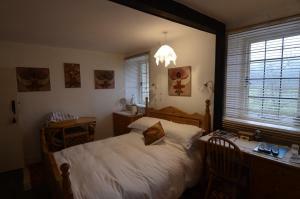 Each room here will provide you with a T..
Thatch Cottage offers accommodation in Chittlehampton, 44 km from Exeter. The property is 11 km from Barnstaple and features views of the garden. The..
Mullybrook Mill is a holiday home situated in Chulmleigh in the Devon Region and is 36 km from Exeter. It provides free private parking. The unit fit..
Belgrave B&B offers accommodation in South Molton. Free private parking is available on site. The rooms are fitted with a flat-screen TV. You will fi..